There are many options out there but we like the Serta Perfect Balance the best for the price. It has contoured sides and top to keep baby in place during changes and isn’t made from potentially harmful foam. 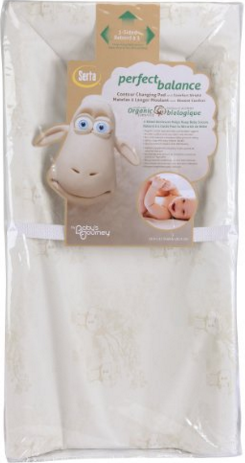 It’s a standard size so any regular sized changing pad covers will fit, which is very convenient. 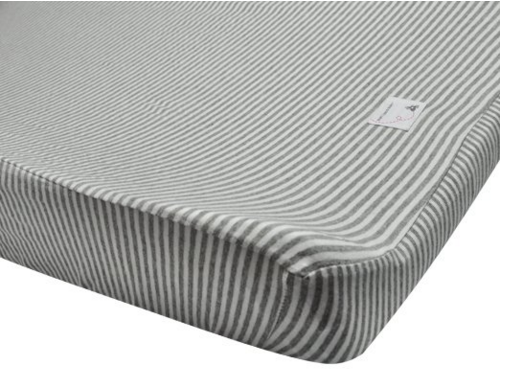 Burt’s Bees makes very soft organic cotton changing pad covers in adorable stripes and solids. Most of them are unisex so you don’t have to worry about ordering for boy or girl. They wash very well on a gentle cycle. In those early days of breastfeeding, burping and diapering I always had a diaper cloth draped over my shoulder. It’s a necessity for keeping yourself somewhat clean and being able to wipe baby’s mouth, hands, etc. 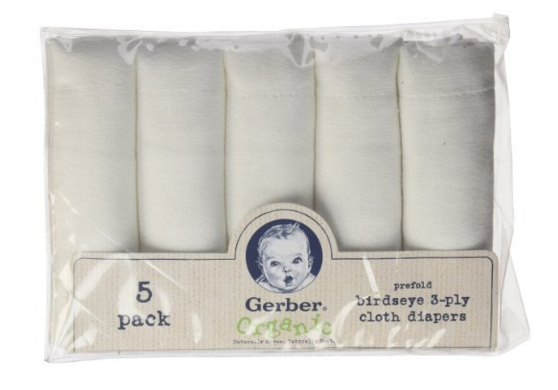 These basic Gerber organic cotton diaper cloths do the trick. 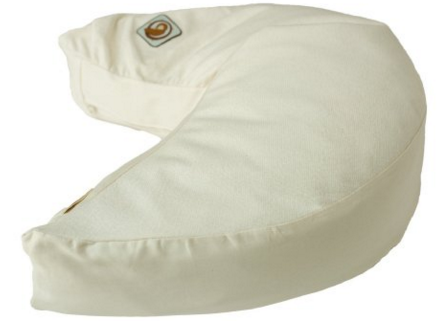 This alternative to the popular “Boppy” pillow is “made with chemical free wool batting from free range sheep and organic cotton fabric.” Both the pillow and organic cotton flannel cover are available from Eco Choices. I slept with my pregnancy pillow nearly every night. It offered so much needed support, I missed sleeping with it after I had baby. I still sleep with our nursing pillow every night. 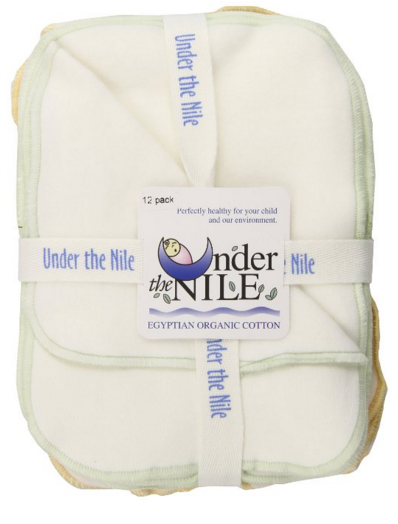 These Under the Nile wash cloths are by far my favorite wash cloths for baby. They’re soft, thick and made of premium organic Egyptian cotton. I’ve had them since baby was born and over a year later they’re my most used and preferred washcloth for her. Soft and gentle on eyes, checks and every little crease, I prefer these to all the others we have, including Aden + Anais (though those are great too for their larger size). 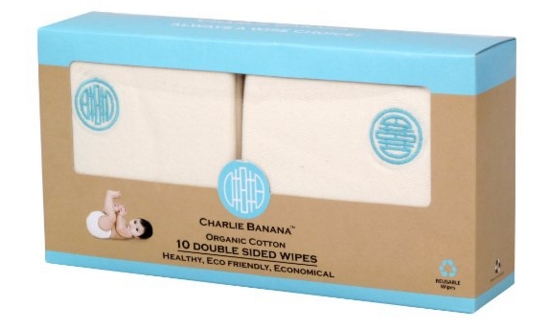 If you’re like me and like to wash baby’s bottom with warm water and soap after bm’s, you will love these Charlie Banana reusable cotton wipes. They are super soft, wash very well and are double sided. The popular Aden + Anais muslin swaddle blankets are 100% cotton and come in many different and equally adorable patterns. 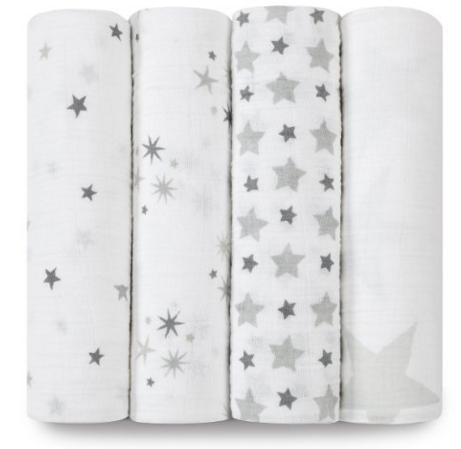 The stars pattern, appropriately called “twinkle,” is one of my favorites because the colors are unisex and the stars are just so sweet when getting all snuggled in on those sleepy nights or for nap time. 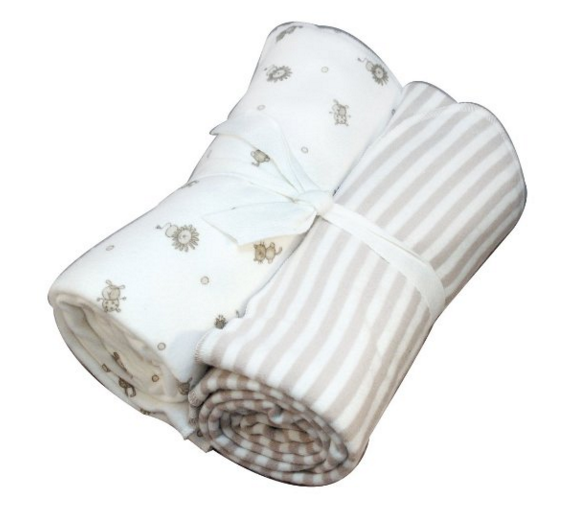 These Under the Nile swaddle blankets are made from organic cotton flannel and are a little bit smaller so ideal for when baby is newborn. 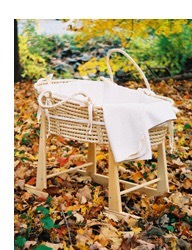 This sweet little setup was so lovely for baby when she was a newborn. She took some of her first naps in here and relaxed while I showered and did other chores. The basket conveniently lifts out of the rocker so you can set it down on the bed next to you or move it around the house easily. When family came over to visit it was wonderful in those first few weeks. Baby was able to sleep and everyone was able to enjoy her and rock her in this sweet little Moses bed. 100% organic cotton bedding sold separately. All are available on the Eco Choices website.